PowerPoint slides are usually very colorful. A presentation may include colorful backgrounds, charts, images etc. The slide maker always tries to make the slides attractive so that the audience concentrate to the presentation. Those slides though look amazing on a projector screen, may not be printer friendly at all! If you print a color slide normally, you can't read this well. Today I'm gonna discuss about how to print PowerPoint slides as handouts. Go to the Print What option and choose Handouts. In the color option, choose either Blank and White or Grayscale. Now go to the Handouts option > Slides per page > Choose 3, 4, 6 or 9 as your wish. Almost done! Choose your printer and hit on the OK button to print. Office 2010 is the smartest version of Microsoft Office. I really like the print options of Office 2010. PowerPoint 2007 and 2010 is somewhat different but most of the options are almost same. From the Slides option, choose the number of slides. And from the Color option, choose Grayscale. 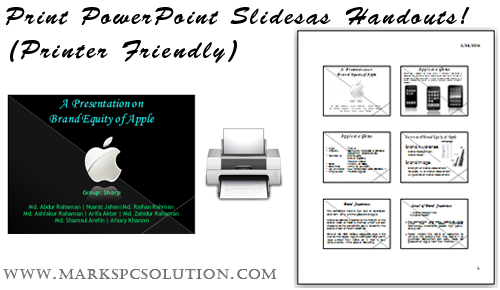 Choose your printer and hit on the Print button to print. Note: If you would like to save your paper and ink, you can choose Outline instead of slides. Simply go to the Slides and choose outline. Check the preview. It it's okay then hit on the Print button. Hope you've enjoyed the post. leave comment to share with us . . .
Today I'm gonna share a light version of Nero - Nero Micro 8. And it's 100 % free for you! This version includes Nero Express 8 and Nero Burning ROM 8. 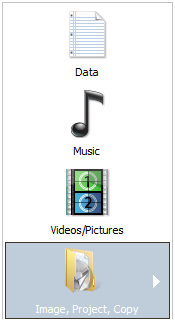 With this version of Nero, you can perform almost any disk related tasks - Copying Disk, Burning Image Disk, Creating Audio & Video CD/ DVD etc. Download the zipped folder from the link below. It's 100% free, safe and reliable. After downloading the file, unzip it first. Then double click on the Nero Micro 8.exe to start installing the software. It will take only few seconds to install. This is a very tiny version of Nero. So it doesn't need any special hardware configuration. It works fine with any running version of Windows including Windows 8. Nero Express 8 - To work with Data, Music, Videos, Image, Project. Nero Burning ROM 8 - For extensive burning tasks. Most of the users only need Nero Express. Burning ROM is not necessary for all. With Nero Express you can burn CD/ DVD, Copy Disk, Create Music Disk etc. Nero Express contains the essential options only. But if you're looking for more customization, then you can use Nero Burning ROM. Hey Flash Game Lovers! Today you're getting an amazing puzzle game - Save Them! It's a flash game and the download size is only 382 KB. 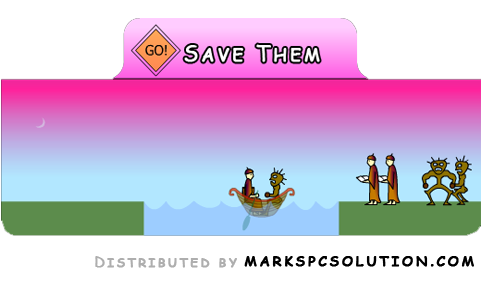 In this game, you have to move 3 missionaries and 3 cannibals from one side to another through a boat. In any side, if the number of cannibals is more than the number of missionaries, then cannibals will eat the missionaries! Download the game from the above link. It's a zipped file. Download size is only 382 KB! After downloading the game, you have to unzip it first. Then double click on the SaveThem to start the game. After starting the game, you will get the instruction. You have to make sure that in no side, the number of cannibals is not more than the number of missionaries. This is your only challenge. You have to take them from left side to the right side of the lake through a boat. Press on a character to jump to the boat. Thus you can take any two of them at a time. Then hit on the GO button to move the boat. After reaching the other side, click on a character to jump to the land. Thus you have to move all the six characters from one side to another. It's a very challenging game. Not many people are able to solve it. And only few people are lucky enough to solve it at first try. Even I have to try this game more than 10 times to solve it! Take 1 Missionary and 1 Cannibal in the boat from the right side. Then move the boat to the left side pressing the GO button. Now jump the Cannibal to the land. And get back to the right side with the missionary. Jump the missionary to the land. This time, take the remaining 2 cannibals to the boat and move to the left side. Jump one of them to the land. And the other cannibal will back to the right side with the boat. Jump the cannibals to the land. Now take 1 missionary and 1 cannibal to the boat from the left side. Move the boat to the right side. Jump the cannibal to the right side and take the missionary to the boat. Now move the boat to the left side with two missionaries. Jump both missionaries to the left side. We're almost done! Now take the only one cannibal from the left side. Move the boat to the right. Take another cannibal from the right side. Back to the left side with two cannibals. Jump one of them to the left side. Again go to the right side. Take the last cannibal in the boat and move it to the left. Now jump both cannibals to the land. Solved! Download the game from Link 1 or Link 2. It's a 100% free, safe and reliable download link. You will get the game in zipped condition. After downloading the zipped folder, please unzip it first. Then start playing. Adjust Screen Size: You can adjust the screen size from the Options menu. 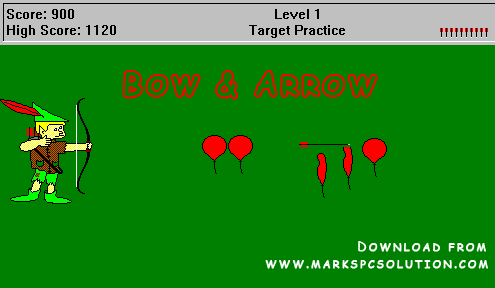 While you're practicing target, keep the screen size minimum (600 x 400). And sometimes you may need to keep the window full (800 x 600). Remember, you can't change the screen size while playing a level. Adjust the size before or after finishing a level. Move the Archer: You can move the archer up and down. Press left mouse button over the archer to move him up and down. Save and Restore: It could be tough for you to finish the game at a time. You can save and restore your game. After finishing a level, go to the File menu > Save > Choose 1/2/3. There are 3 save options. To restore a game, go to the File menu > Restore > Choose your saved game. Remember, while you're in the mid of a play, you can't save the game. But you can restore it from the file menu. To activate the menu, press the spacebar. Hope all of you will enjoy this lovely game. Please leave your comment . . .
Hello Gamers! 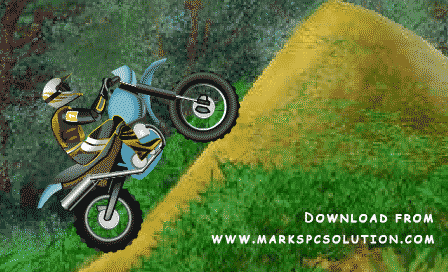 Today I've come with another small flash game - Nuclear Bike. But I swear you will get the flavour of a heavyweight game in Nuclear Bike! It's just 6.45 MB in size. But serves like a hundred megabyte motorbike game. It's an awesome game with beautiful background and amazing music. 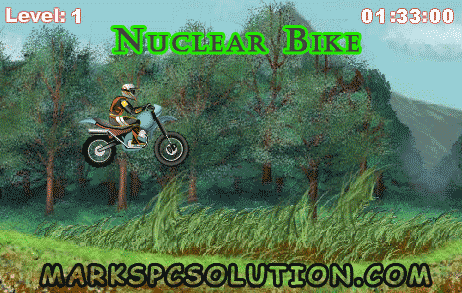 Nuclear Bike is a flash game. So you can play this with any version of Windows. There is no special requirement. You don't need to think about Graphics Card, Direct X Version, RAM, Processor type etc. It's a 100% free download link. No ads, no spyware, no malware, no virus. It's clean, safe and fast download link. Download the game from the above link. It's a zipped folder. Download size is 6.45 MB only. After downloading the file, you have to extract/unzip it to start the game. After extracting the file, it will be 7.9 MB. It's a simple game. Though it's very challenging, controls are very easy. And you must practice properly to be an expert. Right Arrow - Increase biker's weight to forward. Press Spacebar to Pause the game. Spacebar can also be used to restart the game after crashing. At the right bottom corner of the screen, you will get a speaker icon. Hit on the speaker to turn off the music if necessary. When you're gonna cross a high place, bump your bike to pass it. In this game, your bike may turn over very often. If your bike is about to turn over forward, press Up Arrow + Left Arrow. And when you're about to turn over backward, press Down Arrow + Right Arrow. No Profile/ Option to Save the Game! Since it's a tiny game, it has no saving option. You can't create any profile here. I don't know how many levels are there in the Nuclear Bike. Each time you start the game, it will be started from the beginning. I've played 6 levels so far. If you can finish the levels, please inform me about how many total levels are there. Couple of days ago Google AdSense offered its first online course for the Publishers. And I've been too. The course will be opened on 20th May, 2014. 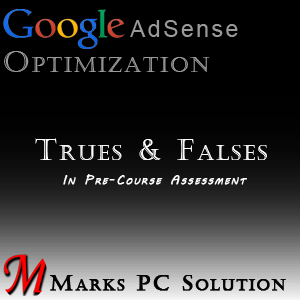 Register now for the course and take a Pre-Course Assessment to justify your AdSense knowledge! Just after getting the invitation for the course, I took the Pre-Course Assessment Test. There are 15 questions. You just need to choose one of the options - True, False and I don't know. 728 x 90 Banner Ads perform well. But it doesn't mean that your page must have it. It depends on your site's style and type. Blocking non performing Ad categories may increase your revenue if done properly. But personally, I don't believe it - Learn more . . .
CPC - Cost Per Click is the amount you earn each time when a user clicks on your Ad. CPC is determined by the Advertiser. CTR - Click Through Rate is the number of clicks against pageviews. If you get 2 clicks against 10 pageviews, then your CTR is 20%. Blending Ad Units in such a way that users can't differentiate between Ads and Contents may be harmful for your AdSense account. Even you could be banned from AdSense program! If your page calls for an Ad to be served but no Ad is returned it will considered as rejected Ad request. The Advertiser with the lowest CPC will win the bid. Advertiser Raj bids $2.10 CPC. So he will win the bid not Raj. 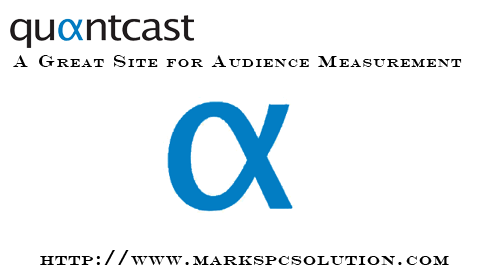 Contextual targeting analyzes your keywords, topics, text, language, link structure, page structure etc. It considers the central theme of your site rather than a single topic. To be honest, I don't know much about contextual targeting. A rejected Ad request occurs when your page calls for an Ad to be served but no Ad is returned. But if your site doesn't comply with the AdSense policies, simply you will be banned from AdSense! 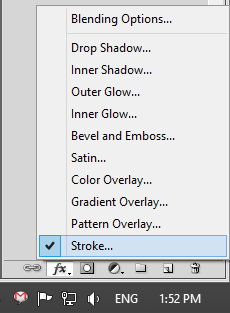 Photoshop Stroke belongs to layer style. You can add stroke outside of an image, text or shape. When you apply stroke over something, it looks like a border or outline. You can also choose different colors for stroke. And you can also adjust the size, position and opacity while applying stroke. Last month I wrote about how to work with Fill & Opacity in Photoshop. I think you should also have a look to this tutorial. It will be helpful for you. Look at the two images below side by side. The left one has no outline. But the right one has a border outside of it. 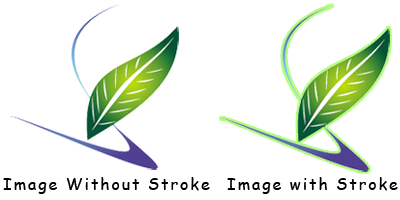 No stroke has been applied on the left image. And the right image has a stroke outside of it. You can also use stroke with texts and shapes. 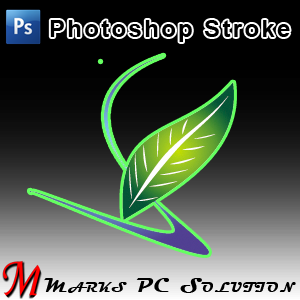 Stroke can highlight something. Sometimes after applying stroke over something, you can minimize the fill. In that time, you will get stroke highlighted and the inside dimmed! Learn more . . . If you wanna apply stroke over an image then open it. Or create a new document and then type something or take any shape on which you wanna apply stroke. Now make sure you're on the right layer I mean your image or text is selected. Also make sure that your Layer window is turned on. Now go to the strong as shown in the image below. Adjust the size and look at the effect of your stroke outside the image or text. This is very important. Sometimes 1 px doesn't make any sense. Though it depends on the situation I prefer 2 or 3 px. Certainly a fat stroke will not make any sense. Keep Position - Outside, Blend Mode - Normal, Fill Type - Color and Opacity - as your wish. If you minimize the opacity from 100% to 60 or 70%, then your stroke color will be darken somewhat. And finally choose a brilliant color for the stroke. Hit on the color box and select different colors to test the result. After choosing the color, hit on the OK button. You can also explore some additional options from Layer Style window. Suppose Drop Shadow, Gradient Overlay, Satin, Bevel and Emboss these are really cool options here. These can turn your normal image into an outstanding one. And these are really awesome for creating superb text! After applying stroke, also adjust the Fill and Opacity of the layer. These control the transparency of your image. Adjusting the transparency will give you a completely different look. By the grace of Facebook, your inbox is getting fat everyday. If your Yahoo Inbox are filled with thousand of unnecessary messages, then it could be difficult for you to find the important mails. Gmail users can easily delete all emails from inbox because it has option to select all messages at the same time. Like Gmail, Yahoo has also the Select All option. But the Select All option of Yahoo can't select the whole inbox. It is capable of selecting the loaded messages only. It could be 50, 100, 200 or how much messages you've loaded at a time. If you wanna delete a large volume of messages from Yahoo inbox, then you have to be little bit tricky! Today, I'm gonna discuss how to quickly delete all messages from Yahoo Mail inbox. Make sure you're using the latest version of your browser and latest interface of Yahoo Mail. Firefox or Internet Explorer is optimized for Yahoo Mail. Chrome users could get a message to change the browser. And definitely you need a better net connection while running this task. Sign in to Yahoo and open your Yahoo Mail Inbox. Never press Esc. Let the mailbox load completely. By default, 50 messages will be loaded at a time. If you scroll down, another 50 messages will be loaded. Thus continue scrolling to the bottom. If you get bored then delete the already loaded messages. Hit on the Select All button and press the Delete key. After pressing the Delete button, you will get the following notificaiton. Hit OK to delete all the selected messages. If you just continue scrolling down for 2/3 minutes, I believe you will be able to delete more than 5000 emails at the same time. My inbox is blank. And there are more than 2000 mails in my Trash box. And it took a very short time to delete all messages from the Yahoo inbox by using the above method!